What fundamental Skills will I learn during this course? Range fees, ammo are paid by the student. Excellent beginners course. COST: 125.00 PP Group discounts of 6 persons or more apply. First Steps Pistol is not a full certification, but a great course to at least be on your way to it. Length is 3.5 hours. Classroom training will cover the following: Position, the correct way to grip a semi-automatic firearm, sight alignment, breath control, trigger squeeze, and follow through. Loading-unloading, Intro to malfunction drills, taking the gun apart, and reassembly of the firearm. One hour range time. Calibers to choose from Glock 9mm-45 caliber or Sig 40 caliber, 9mm, Springfield XD-series 45 caliber. Minors welcome from 12 years of age and up with parent or guardian. Please call us direct for details. We will remove any anxiety that you may have about handling firearms, or misconception. Under 18 requires a parent or guardian with you. You will be in our classroom in Burlingame, then we transfer to the range depending upon what discipline you choose we use different ranges for different guns. We will take you from not having any experience with a firearm to a great shooter ! In just 3.5 hrs. 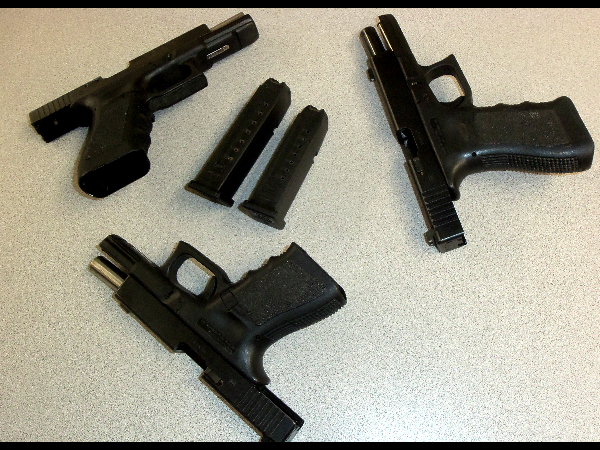 All firearms during any, and all classroom training are always unloaded, there are no exceptions. Private Instruction available upon request Corporate offsite events available upon request. 3.5 Hour Course Fee: $149.00. Students pay their own range, and ammo fees.